Log home owners have a special place in their hearts for the rustic and natural in decorative accents. So it seems to be a shame to apply the common plastic switchplate or standard brass hardware to cabinets and drawer pulls. 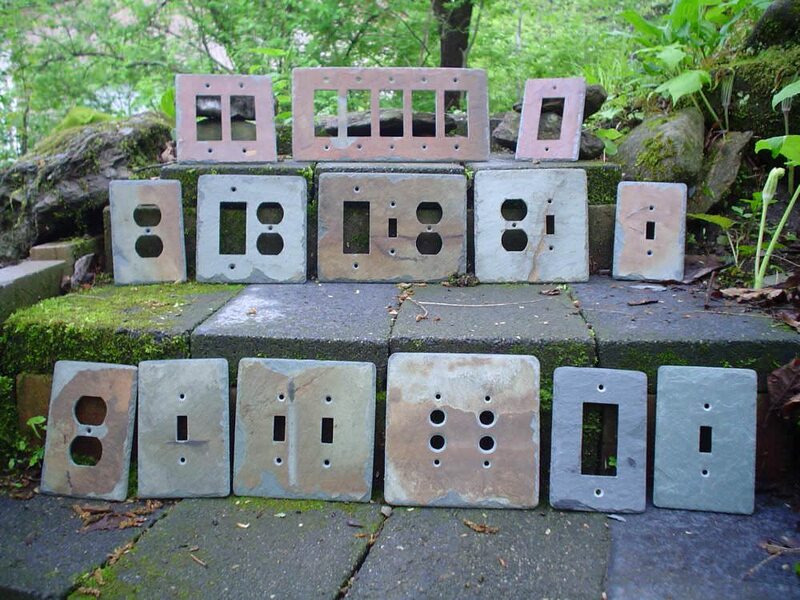 Luckily, one company in New England called Vermont Slate Art offers the log home enthusiast natural and recycled options for switchplates, door bells, and cabinet hardware. Vermont Slate Art takes slate roof tiles recycled from century-old farmhouses and barns and crafts them into switchplates and electrical covers. Each tile has been naturally weathered and offers an individual weathered appearance that will enhance your rustic log home setting. The company offers switchplates to fit most electrical setups, but can also custom cut to fit specifications. 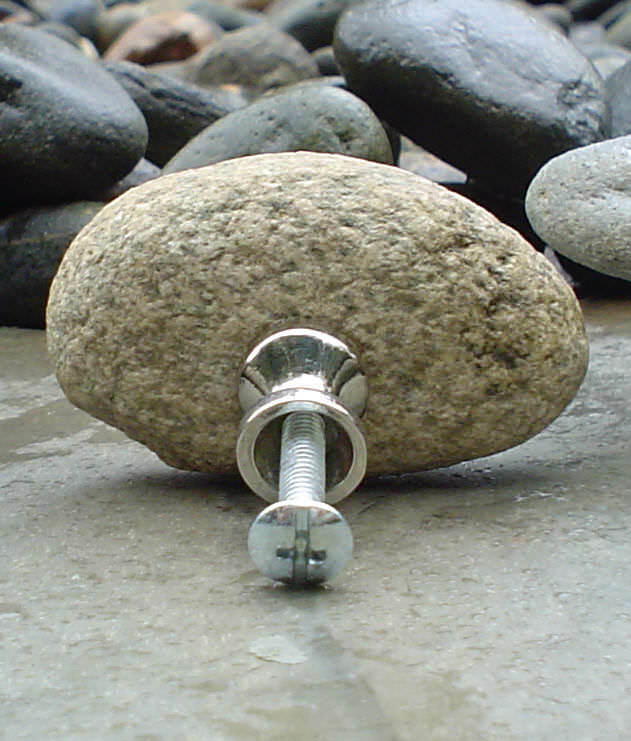 For kitchen and bathroom cabinetry, Vermont Slate Art also makes river rock hardware and drawer pulls available in four color ranges: brown, gray, olive drab and speckled granite. Each hardware piece is available with stem mounts in either black or chrome and is finished with a clear protective coating. They also have a broad range of cast hardware featuring wildlife motifs, deer antler shapes, and other rustic touches to delight your family. Other options for hardware include pewter, copper, glass and wrought iron. The company will work with their customers to provide color matches to specific decor, with either single sample orders or matching to photographs.